North Carolina Quail and Mallards! 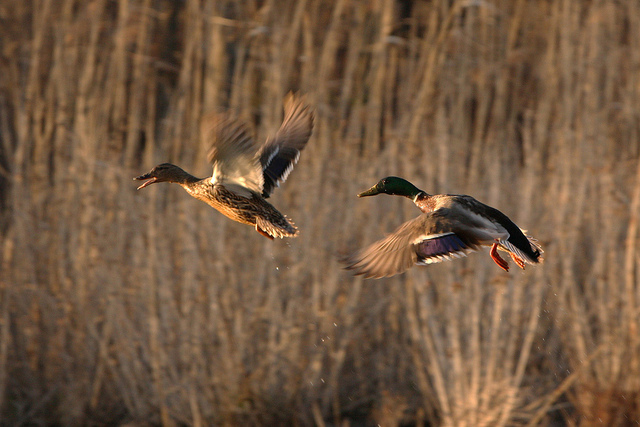 Bob is hunting quail and mallard ducks this week at Buchanan Shoals near Wadesboro, North Carolina. Buchanan Shoals is a hunter’s paradise for those folks that like to quail & duck hunt, fish and hunt for wild hogs, deer and turkey. Bob’s hosts and wingmen this week is Jason Kiker, the owner and developer of the 5500 acre hunting resort property along with his dad, Paul Kiker the patriarch of the Kiker family. This is a show that has it all! This entry was posted in Episode and tagged bob redfern, duck hunting, north carolina hunting, quail hunting on 10/08/2011 by BROM. It’s opening day of duck season in South Carolina and Bob and duck commander Wally Elliott head to DW Outdoors located in Zion, South Carolina for some exciting early season duck hunting. This entry was posted in Episode and tagged bob redfern, duck hunting, dw outdoors, fishing, hunting, south carolina hunting on 06/26/2010 by BROM. This entry was posted in Episode and tagged bob redfern, duck hunting, dw outdoors, wall elliott on 04/11/2010 by BROM. This entry was posted in Episode and tagged bob redfern, duck hunting, dw outdoors, wally elliott on 02/26/2010 by BROM. This entry was posted in Episode and tagged bob redfern, duck hunt, duck hunting, dw outdoors, mallard ducks, wally elliott on 01/09/2010 by BROM.